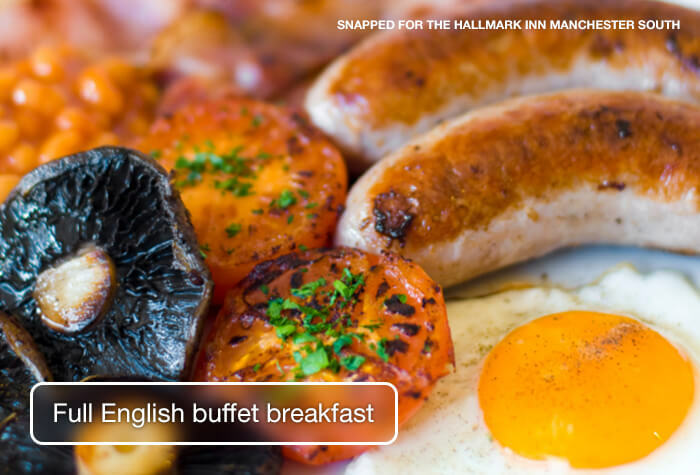 The Hallmark Inn Manchester South Hotel (formerly Willowbank Hotel) at Manchester Airport ticks a lot of boxes. If you're travelling by car, the hotel has secure parking on-site where you can park for the duration of your holiday. The transfers to Manchester Airport are by taxi. They take just 20 minutes and are included in the price. With all of this in mind, it's fair to say your holiday will start from the moment you step into the hotel. 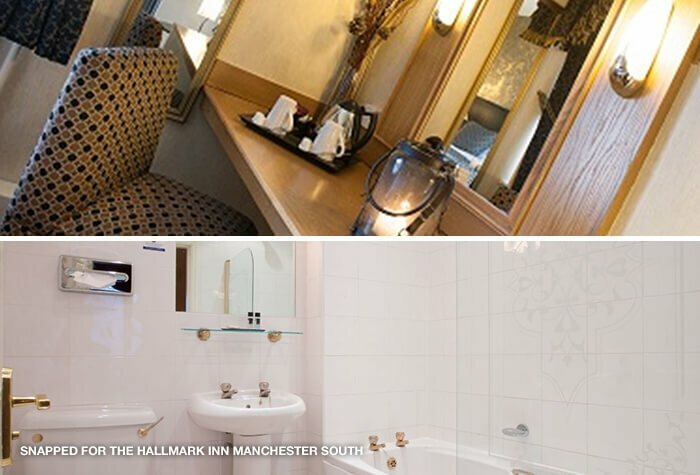 The Hallmark Inn is a one of our 3-star Manchester airport hotels, full of contemporary decor and with rooms well-equipped for a comfortable nights sleep. 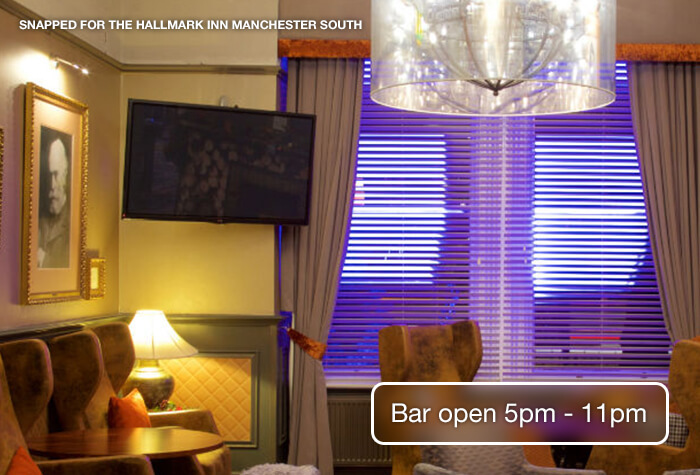 We booked a package including hotel and parking the night before our holiday, it was very last minute and we booked a few hours before travelling to Manchester. Only to arrive at the hotel to be told there was no parking available and we would have to park off site. After moving the car, we were then told actually there are no rooms available tonight. 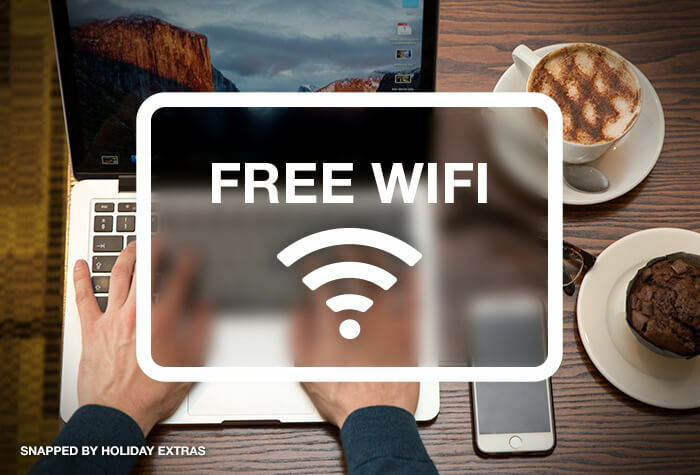 Holiday extras should not have let you book. We were left waiting for an hour in the reception, baring in mind this stay was supposed to save time and stress travelling to the airport early. We were eventually made up a 'family room' which looked absolutely nothing like the photos online. The room was dirty, tiny, had a tiny bathroom and the facilities were awful. This made the trip stressful, and it would of been easier to simply travel to the airport in the morning with a much cheaper parking facility and save the expense. Very bad experience. Have already raised this as a complaint. Hotel ideally situated and good price. Staff really helpful. My room was a little odd in that it had no curtain or blind. It made no difference to me as I was on an early morning flight but it could have caused an issue with waking up too early in the summer due to the light. 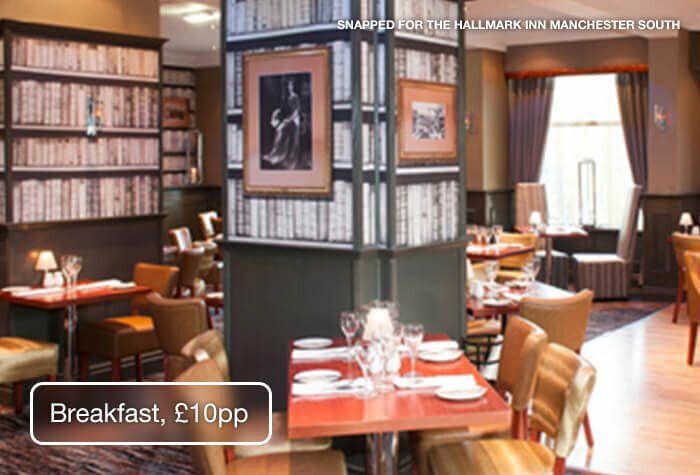 Our customers rated Hallmark Inn Manchester South Hotel on average 7/10 (31 reviews). 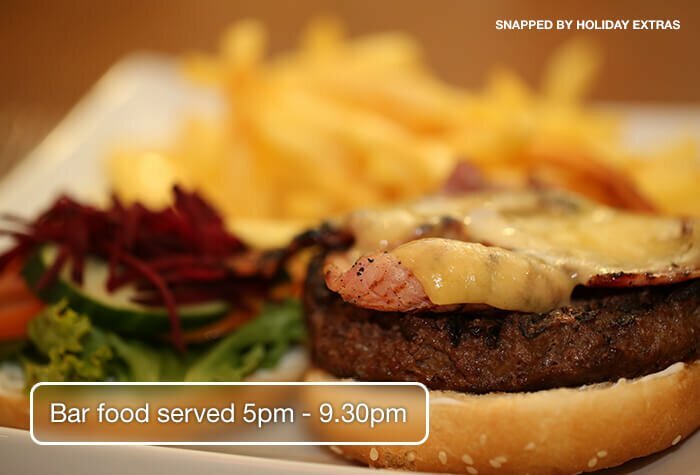 You can check in from 14:00 and when you go to reception, you can book your taxi to the airport for the next day. Youll also need to give them your cars registration and keys. Overnight parking is included in the price. 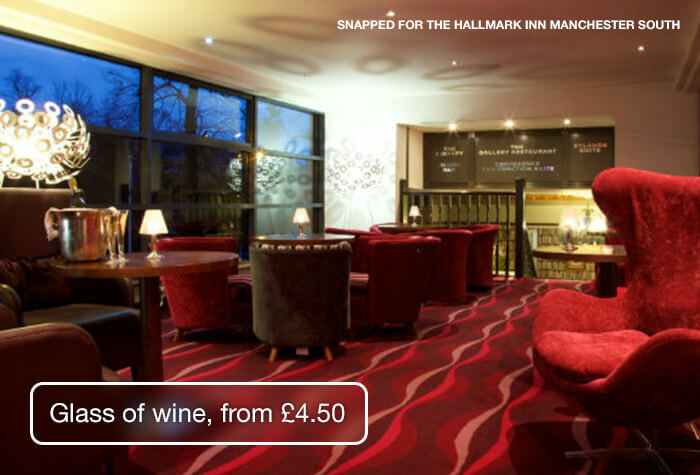 - Leave the M60 at junction 2 and follow the road round. - At the roundabout, take the third exit onto A560 Stockport Road. - After a short while, take a right turn by Haw Bank House onto the B5095 Manchester Road. - Keep on this road for a some time until you arrive at the A34 Kingsway, turn right and go up this road. - After a while on the A34, turn left onto Mauldeth Road. - Follow the road round until you come to a crossroad, where you'll need to turn right onto B5093 Wilmslow Road. - Go down this road and you'll see the hotel on your left. You'll need to check out by 11:00 and grab a taxi to the terminal. It takes 20 minutes and is included in the price. You'll leave your car at the hotel's car park while you're away. 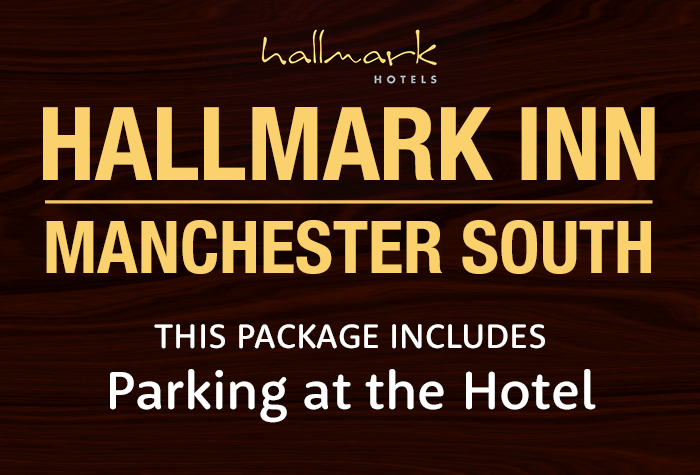 Drive to the Hallmark Inn Manchester South hotel - your confirmation email will include driving directions and a postcode for satnavs. Youll need to provide reception with your registration and car keys, in case your car is moved while youre away. The hotel can book a taxi to the terminal for you, which is included in the price. It is available 24 hours a day on request and takes less than 20 minutes. Collect your luggage and call the hotel to request the taxi transfer back - your confirmation will include their phone number. 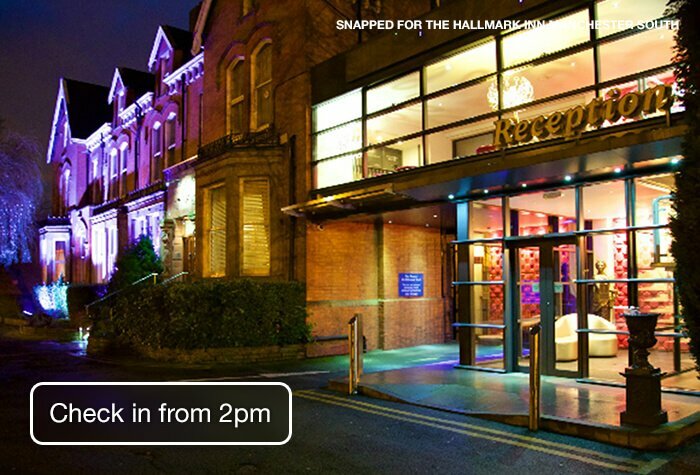 Head to reception to pick up your car keys and drive home. Disabled facilities The hotel is not suitable for disabled customers and has no disabled rooms. It doesn't have a lift and there are stairs up to reception.